The European Startup Event comes to Sofia. 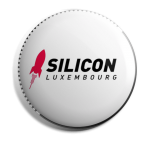 This time it will be about technology leadership, European ecosystem funding (more than €10 Billion in the pipeline) and growing your business. During the startup day leading founders and tech leaders share their learning, providing perspective and showing the rest of us what it takes and what is next. Are you joining? Mariya Gabriel Commissioner for the Digital Economy and Society, European Commission. Founder & CEO of Factory, President of Startup Portugal and Angel Investor in Europe. Previous editions have featured key influencersTech leaders such as Commissioners Kroes, Oettinger, and Moedas, President of the European Committee of the Regions Markku Markkula or executives such as former CEO Travis Kalanick from Uber. Get inspired from leading tech stars and EU policymakers. 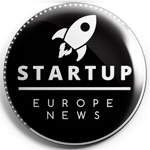 Discover new funding opportunities (several billions of euros available), including programs to support startups (Starup Europe, European Innovation Council). Learn how you can change the tech game. Learn about European funding opportunities directly from Brussels. With more than €10 Billions in the pipeline, EU is becoming the main investor in Europe! !